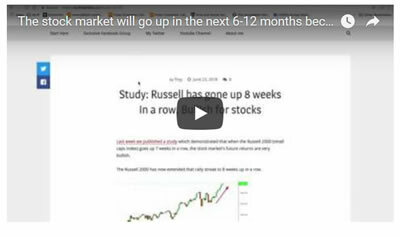 Last week we published a study which demonstrated that when the Russell 2000 (small caps index) goes up 7 weeks in a row, the stock market’s future returns are very bullish. 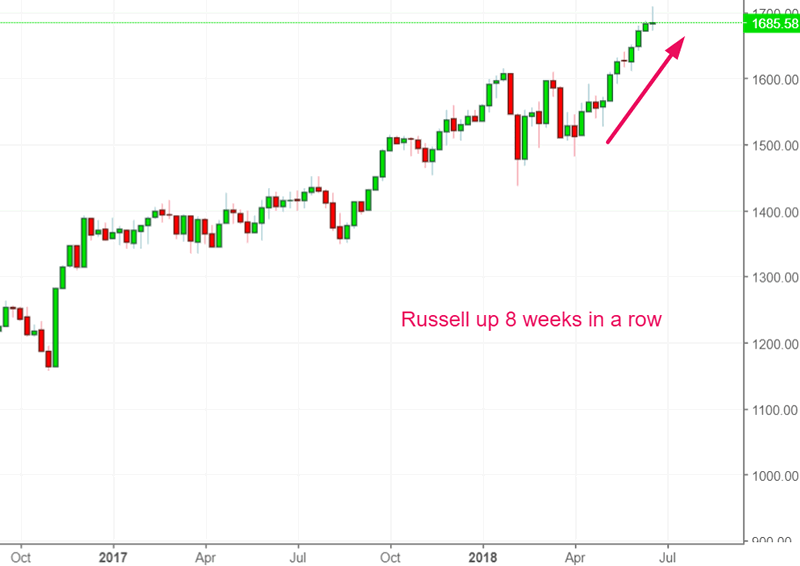 The Russell 2000 has now extended that rally streak to 8 weeks up in a row. When the Russell 2000 goes up 8 weeks in a row, the stock market’s forward returns on a 3-12 month basis are very bullish. This is because the Russell 2000 only goes up 8 weeks in a row during bull markets – it doesn’t go up 8 weeks in a row during bear market rallies. This is telling us that even though the stock market hasn’t made new highs since January 2018, it is still in a bull market. 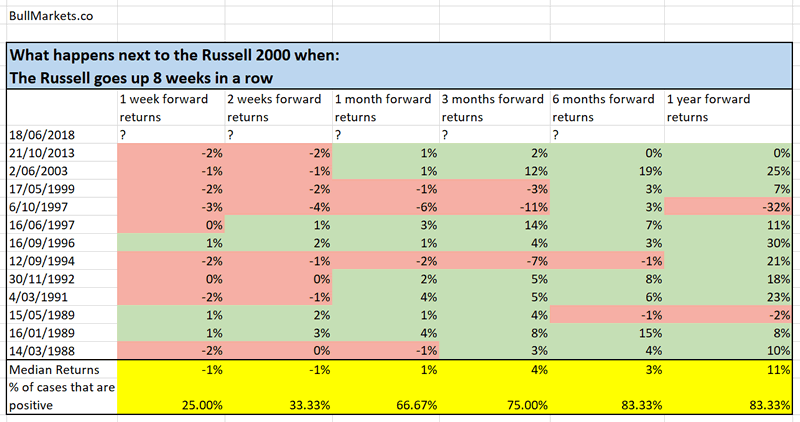 Here’s what happens next to the Russell 2000 when it goes up 8 weeks in a row. 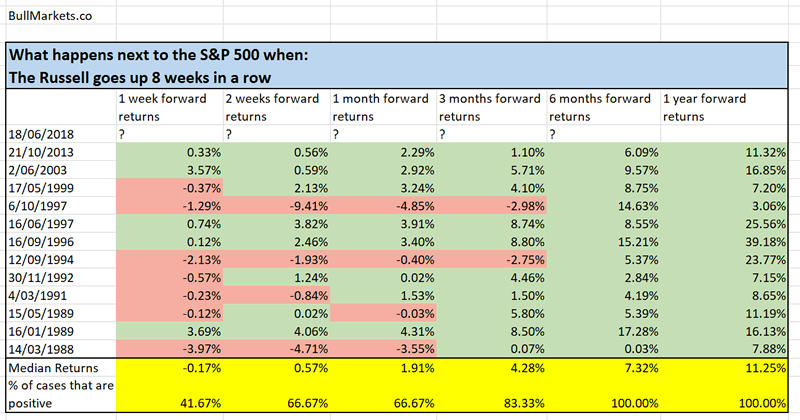 Here’s what happens next to the S&P 500 when the Russell goes up 8 weeks in a row. The stock market could face some more short term downside, but more importantly…. The stock market’s medium term and long term direction are bullish. The stock market is demonstrating all kinds of internal bullish price action that is characteristic of bull markets. Remember: extreme strength usually begets more bullish strength.